Collaborative manufacturing is an interactive process with great potential, but without the direct input of the plant floor systems information, a significant piece of the management process is not available for consideration. 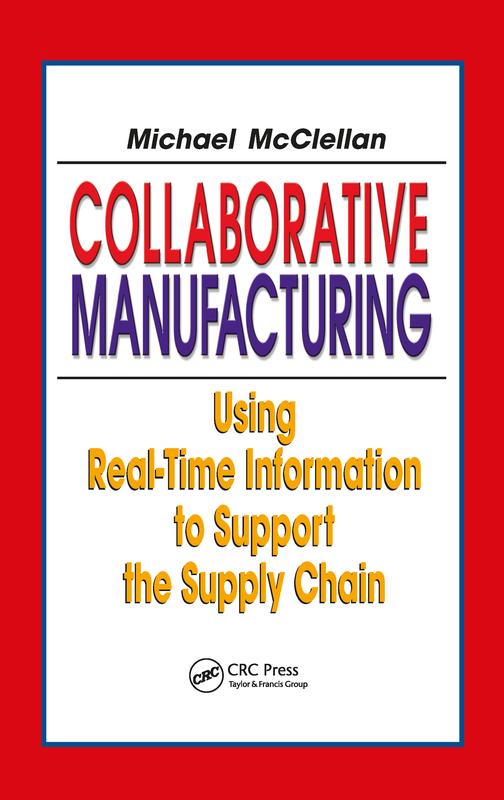 Collaborative Manufacturing provides guidance and examples of how and why real-time events within the plant floor management infrastructure should be an integral on-line systems link within the supply chain process. The text presents an overview of the resources planning systems, the design and management of plant data systems, including manufacturing execution systems and methods for calculating ROI when applying collaborative techniques. This professional how-to-guide will help end users understand the significant benefits of this technology and aids them in system design and implementation. Brief History of the Evolution of Tools Used to Manage Production Over the Past 20 Years. In-Depth View of Plant Floor Systems. Review of Foundation Information Blocks that Make Up Data Used In Manufacturing Systems. Various Types of Manufacturing Environments.Current Manufacturing Management Concepts. Inclusion and Collaboration Throughout the Entire Supply Chain of All Value Adding Sources. The Technical Side of System Design Addressing System Structure, Computer Equiptment, Communication Methods, and Software design Issues. Return-On-Investment (ROI) Concepts. Examining and Measuring the Current Methodology of the Organization and Benchmarking Performance Objectives and System Effectiveness. Design and Implementation Methodology. What's Next in the Future of Business Systems as They Affect manufacturing?